Pet Plate’s founder didn’t let a pass on Shark Tank hold him back from making sure dogs across the country get nutritional, human-grade dog food. His enterprise now feeds thousands of happy hounds every day. 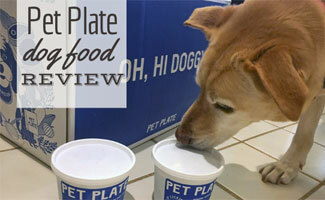 Could Pet Plate be just what the vet ordered for your pup? Our site’s founders subscribe to this all-natural dog food delivery service for their pups. But what’s our verdict on Pet Plate? How Does Pet Plate Compare To Others? Pet Plate offers a 25% discount on your first pet food box. The following price* is based on the profile of a mixed-breed male, 7 years old, 24 pounds, healthy size, no health problems or allergies. 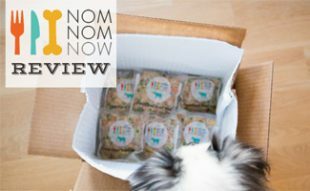 Our readers have access to save 50% off your first box of PetPlate! Just use this link to get started! We recently switched from feeding our dogs 100% dry kibble to mixing the kibble 50/50 with Pet Plate after seeing it on Shark Tank. These meals are made from natural ingredients including meat (turkey or beef) cooked with fresh veggies (carrots, peas, potatoes, sweet potatoes, cauliflower and pumpkin). The food is cooked fresh, then frozen and finally shipped to our doorstep. At first, we tried it out to see how our dogs would react to such a treat. But, as it turned out, our dog Lily, who used to be a very finicky eater, immediately gobbled her Pet Plate food up and ate the mixed-in kibble as well! She went from a dog who only ate 1 of 2 meals every day to a member of the clean plate club for every meal! This was enough to convince us to add Pet Plate to our regular feeding routine. We continue to feed 50/50 kibble because it makes this a more economical choice and keeps our dogs’ teeth cleaner, thanks to the abrasion of the harder food. Both of our dogs are ten years old, and we have also found Pet Plate to be easier on their senior stomachs that were starting to experience more gas. This is a win for all of us in the household! Update: Pet Plate recently sent us a free delivery of its newest flavors (Lamb and Chicken) to try out. Much like the original flavors, they devoured them with gusto. See what’s inside a Pet Plate box and witness for yourself how much our very own Lily and Bella love it as they gobble it up! How Does Pet Plate Compare? Pet Plate isn’t cheap; but if you’re committed to the healthiest lifestyle for your pets, you can’t go wrong with this high-quality dog food. Pet Plate makes ordering and delivery a breeze, and their customer support is top notch. 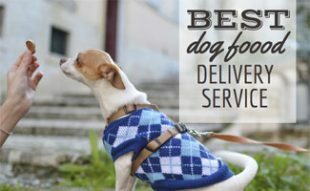 Be sure to read our article comparing the best dog food delivery services, if you want to see how other services compare to Pet Plate. 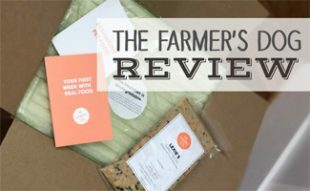 Our reviews include more options for “human-grade” meals, all-natural kibble, high-end dog food you’ll find at your local store and more. 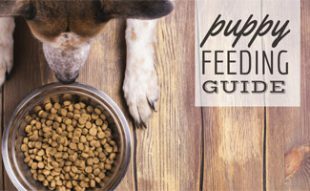 Why are you considering all-natural dog food? We have been using Pet Plate for over six months and could not be more pleased. My elderly Pug was not eating and, despite all my efforts, I thought it was the end of her life. An ad on Instagram led me to the fresh pet food delivery market. After much research, I picked Pet Plate and do not regret it. I highly recommend Pet Plate. Five Stars!! Just watched you on Shark Tank. Very interested! My dog is rescue from Cairo, Egypt. She’s an Egyptian Baladi dog. She lived in the streets till 7 months ago. She has a sensitive stomach. I have tried several dog food brands and even tried cooking home cooked meals and that didn’t settle well with her either. Presently she eats and likes Rachel Ray dog food. I want to keep Rachel Ray as part of the diet as well as trying your food.